Motor vehicle accidents are the leading cause of death for people aged 15 – 20. Of all age groups, teens have the highest risk of getting into car accidents. While many teenage car accidents in Brooklyn can be blamed on no one, some are the direct result of careless or negligent behavior. If you or a loved one has been injured by a careless driver, it is important to have an experienced personal injury lawyer on your side. 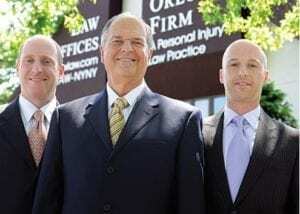 At The Orlow Firm, we have extensive experience helping people who have been injured in car accidents. Our lawyers have a proven record of success helping our clients obtain compensation for their medical bills, lost wages, pain and suffering, and other hardships. Contact our New York City law firm today to speak with an experienced Brooklyn teen car accident attorney. A teen who is seriously injured in a car accident may face years, even a lifetime, of medical problems. It is important to obtain compensation that covers all the needs an injury victim may face, including surgery, physical therapy, rehabilitation and adaptive equipment. Our attorneys know how to value claims and pursue results that reflect the true needs our clients will face. We have the experience, skill and resources to help our clients obtain favorable settlements and jury awards. Have you or a loved one been injured in a teen car crash accident? If so, contact our Brooklyn car accident lawyers today for information regarding your legal rights.